Sapiens: A Brief History of Humankind described how humans conquered the world thanks to their unique ability to believe in collective myths about gods, money, equality and freedom. Homo Deus: A Brief History of Tomorrow examines what might happen to the world when these old myths are coupled with new godlike technologies such as artificial intelligence and genetic engineering. What will happen to democracy when Google and Facebook come to know our likes and our political preferences better than we know them ourselves? What will happen to the welfare state when computers push humans out of the job market and create a massive new 'useless class'? How might Islam handle genetic engineering? Will Silicon Valley end up producing new religions, rather than just novel gadgets? 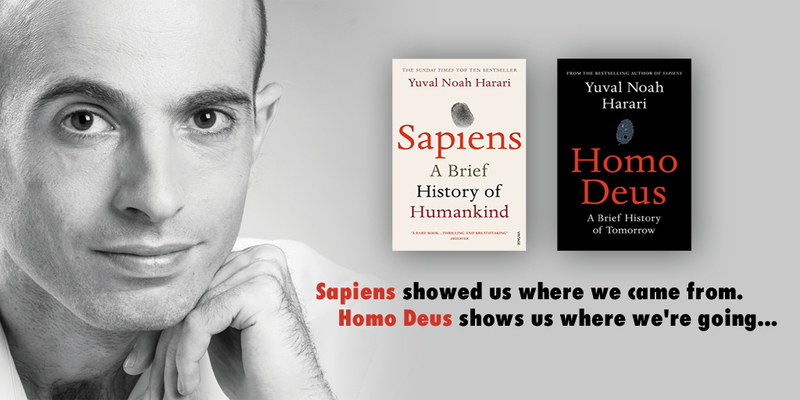 So, Homo Deus is the sequel to Sapiens. And once again I am reminded of how refreshing Yuval Harari's writing is; the prose, the observations and the lines of argument. Here is an author who likes to cut to the chase; he grabs us by the collar and yanks us out of the continuum of life, out of the thoughts, actions and processes that we tend to take for granted. Yes, some call him swashbuckling, and not everybody agrees with his logic, assessment and reasoning; terms and phrases such as 'terrifying', 'outright dystopian', 'underpowered', 'heroic generalisations' and 'just bizarrely wrong' are used, the tone of which reminds me of some of the reactions to Sapiens. But as Harari constantly points out, this is his take on history - past, present and future - and the book presents possibilities not prophecies. Which is what makes it such an enjoyable read; it is terrifying and dystopian, but it's also compelling. The Bradshaw Foundation is primarily concerned with rock art, but in next to no time, we are stepping out of Chauvet into a world where non-conscious algorithms are excelling human consciousness in recognising patterns. How did it come to this? How did we get here? This book is one interpretation. Harari is asking us to consider the decoupling of intelligence from consciousness. 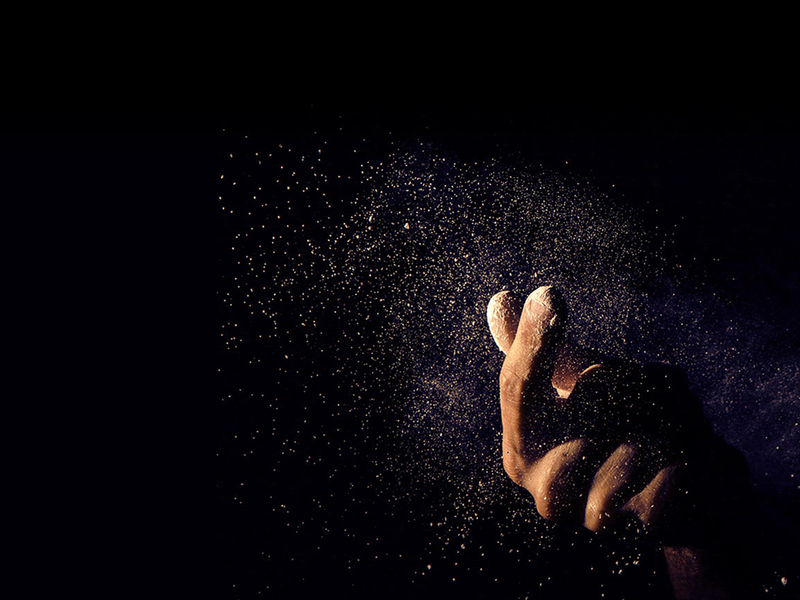 Natural selection was suitable for the past, but now intelligent design is suitable for the future; organic algorithms are being left standing by non-organic algorithms. As algorithms push humans out of the job market, wealth might become concentrated in the hands of the tiny elite that owns the all-powerful algorithms, creating unprecedented social inequality. One consequence could be found in the world of medicine, which becomes increasingly focused on upgrading the healthy rather than healing the sick. Harking back to Chauvet, is art safe? Even artistic creation will not be safe from the algorithms. Why are we so sure computers will be unable to better us in the creation of art and the composition of music? According to the life sciences, art is not the product of an enchanted spirit or a metaphysical soul, but rather of organic algorithms recognising mathematical patterns. If so, there is no reason why non-organic algorithms couldn't master it. Harari refers to this as 'techno-humanism', an upgrading of the human mind, giving us access to unknown experiences and unfamiliar states of consciousness. He states that the most interesting emerging religion is Dataism, 'which venerates neither gods nor man - it worships data'. Dataism expects electronic algorithms to eventually decipher and outperform biochemical algorithms. How does all this information affect us? 'In ancient times having power meant having access to data. Today having power means knowing what to ignore'.